Mt. Pisgah Campground is ideally located, high atop the Pisgah National Forest, and within striking distance of epic adventures and the delicious fare of The Pisgah Inn! Sites range from $16-$19 and the campground is open spring through fall. Mt. 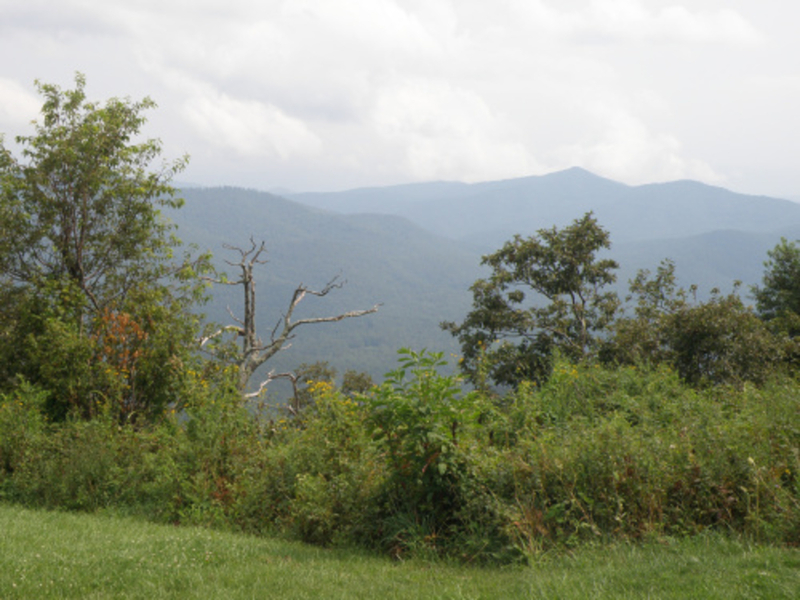 Pisgah Campground is located high atop the Pisgah Ledge at Flat Laurel Gap off of the Blue Ridge Parkway. Centered amongst the wonders of the Pisgah National Forest, at an elevation of 5,000’, the Mt. 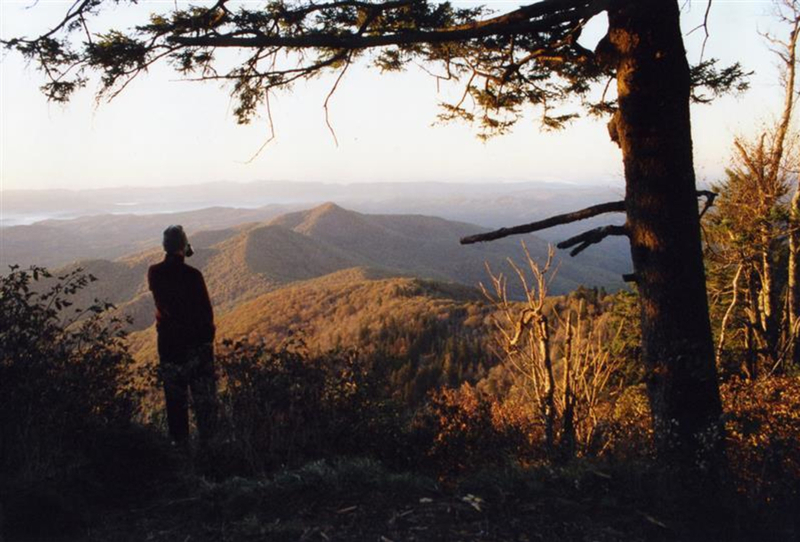 Pisgah campground is ideally located for a ridgeline retreat. This mountain top campground is home to 70 tent and 70 RV sites, restroom and shower facilities, as well as several handicap accessible sites. Pack up all the luxuries car camping affords and reserve a spot in the heavenly confines of Mt. Pisgah Campground for your next adventure vacation! The true beauty of this campground lies in its unique location along the Blue Ridge Parkway. A 20 mile drive along the scenic Blue Ridge Parkway takes visitors high atop the prominent Pisgah Ledge on its way from Asheville to the Mt. Pisgah campground. The campground is nestled amongst some of the finest outdoor recreational opportunities around. With little more than a short drive campers have access to the Big East Fork and Black Balsam trailheads, Mt. Pisgah, Looking Glass and Sliding Rock as well as the famous mountain biking trails of the Pisgah National Forest! An elevation of 5,000’ ensure cool summertime temperatures! The campground also has access to a picnic area and nature trails that leave directly from the grounds. The world famous Pisgah Inn sits directly across the parkway and gives visitors unique access to the finer things in life as they camp in the wilderness. The dining room at the Pisgah Inn is lined with glass and overlooks the pristine Pisgah National Forest below. A delicious array of Breakfast, Lunch and Dinner items are served to patrons as they enjoy the finest view available from a dining room table! The Pisgah Inn also offers a Country Store, for those last minute camping supplies, and access to laundry facilities to refresh your wardrobe on prolonged outings. The Mt. Pisgah campground and its surroundings amenities combine to form an outdoor oasis that “glamping” dreams are made of! Take advantage of the drive-up campsites by bringing your luxury list of camping items! Venture out on an epic Pisgah adventure during the day then return to camp for a shower. Next, cap off your epic day with a beverage and the delicious fare at the neighboring Pisgah Inn; camping never tasted so good. The Mt. 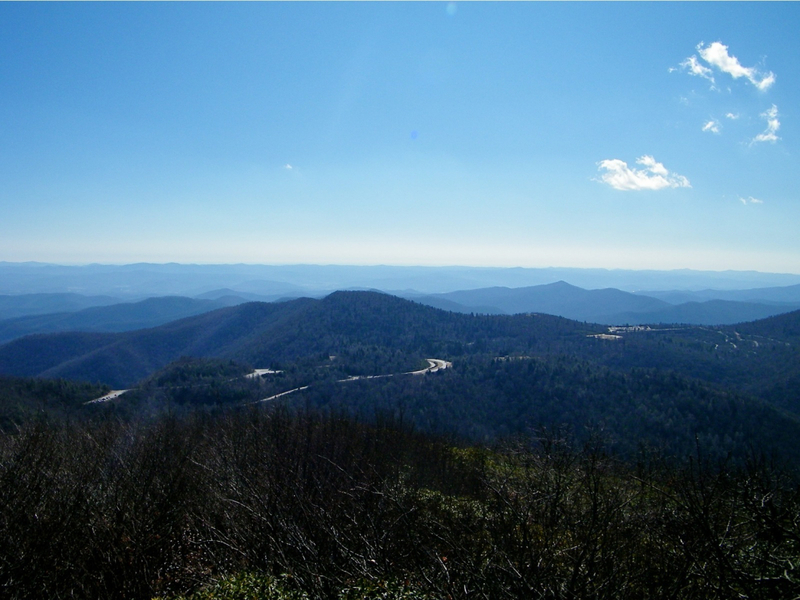 Pisgah Campground is located at milepost 408 on the Blue Ridge Parkway. Gather your gear at Diamond Brand’s brand new location which is conveniently located right beside the Parkway! Check Recreation.gov for more details on availability and reservations. For more information on the campground’s rules and regulations and a detailed map of the grounds click here.